Lieutenant Colonel James Gordon Scurlock, United States Air Force, was born on 11 June 1918. He served in both World War II and the Korean War. He died on 5 January 1970 and was buried in Section 6 of Arlington National Cemetery. 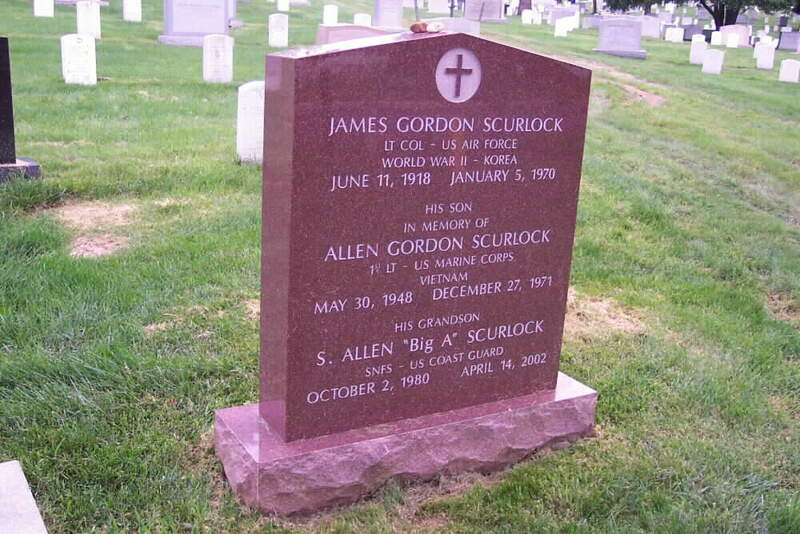 Both his son, Allen Gordon Scurlock, First Lieutenant, United States Marine Corps, and his grandson, S. Allen Scurlock, SNFS, United States Coast Guard, are buried with him. Information concerning these individuals is currently being sought. If you possess such information, kindly contact the Webmaster.